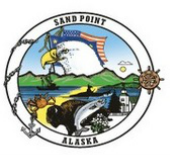 Sand Point's "New Harbor" is located just south of the Robert E Galovin Small Boat Harbor. 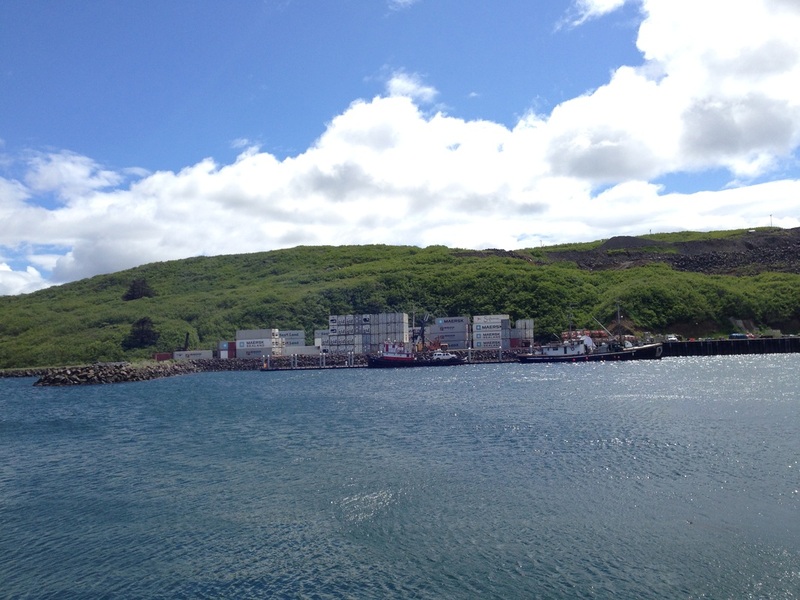 The Aleutians East Borough owns the harbor, while the City provides the operation and maintenance. The New Harbor has an east wall for loading/offloading and a simple float structure (Float B) adequate to handle both large and small vessels. The City and Aleutians East Borough are actively seeking funds to put a complete float system in the harbor, as well as full electricity. The design and permitting for Float A will be 100% complete in late summer 2017. The current estimate for the new float system is $6.5M. There are container vans in the uplands area of the new harbor, but other lots are available for commercial development or storage. The western breakwater of the New Harbor also houses the City Dock (see photo at right). View of the uplands area at the New Harbor.